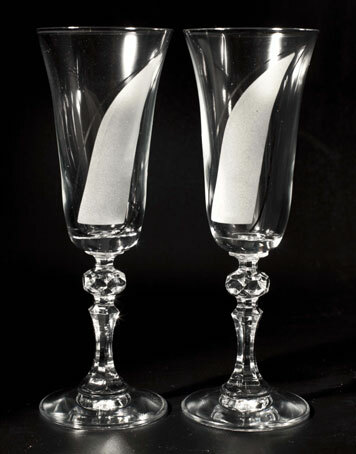 If you intend serving a great champagne, you need a suitable flute-styled glass to pour it into, nothing less will do! These stunning champagne glasses from our exclusive range are crafted from hand blown glass and fashioned into delicate drinking vessels. Beautifully packaged in a set of 6, sized at 20cm, each glass features an ornately decorated stem and a distinctive striped pattern on them. 200ml capacity.